Earlier this week, we reported that the OnePlus 3T could be launched soon in India. 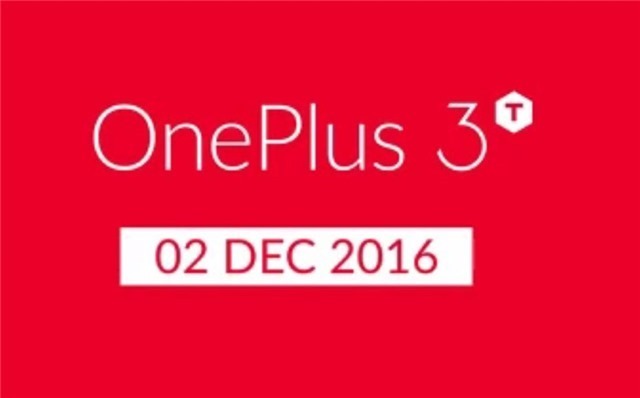 And now the company has officially announced the OnePlus 3T India launch date. Granted that the Chinese OEM resorted to some unnecessary hype, and a crazy stunt for merely revealing the launch date, it is nice to have it confirmed nevertheless. The OnePlus 3T will be launched on December 2nd in India. Here's a brief recap of the phone's config. The OnePlus 3T has been priced at $439 in the U.S, so we can expect it to carry a similar price tag, which should be around Rs.30,000 in India. The OnePlus 3 is likely to be discontinued in India, like it has been in EU and the US. We expect the OnePlus 3T to be sold exclusively via Amazon India.